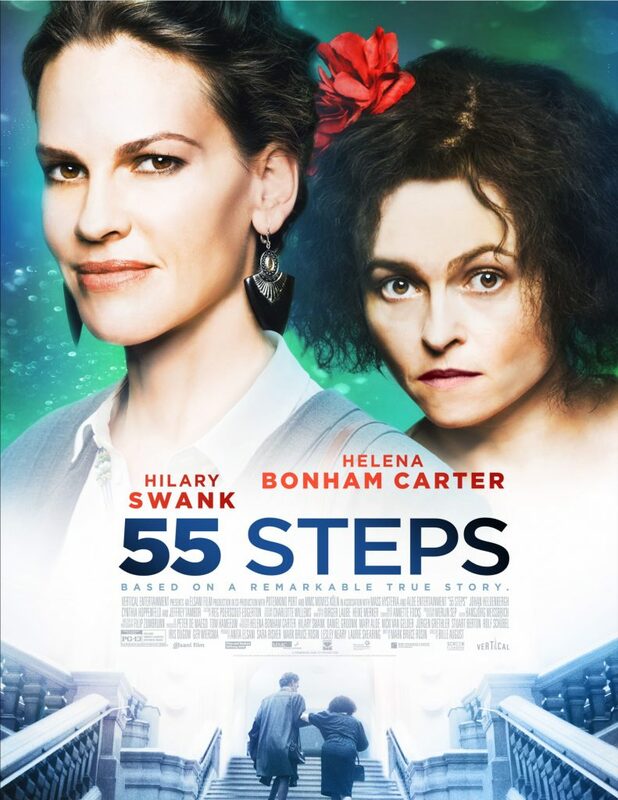 The movie 55 Steps, directed by Bille August, tells the story of Eleanor Riese, a mental health patient, and her court case, which won the right for California’s acute, competent mentally ill patients to have informed consent about their medications. This was at a time when most of the medical community considered the mentally ill to be incompetent to direct their healthcare and some doctors were beginning to advocate for a collaborative approach that included patients. The “55 steps” of the title refer to those Eleanor climbed to get to court. She counted them to ameliorate her anxiety. We first see Riese, played by Helena Bonham Carter, dragged into a room at St. Mary’s Hospital, thrown onto a bed and forcibly medicated. Later Riese, who lived with chronic paranoid schizophrenia, anxiety and mild mental retardation, places a phone call requesting a patient’s rights lawyer, despite her distrust of lawyers because of a public defender who had not listened to her. Colette Hughes, a former psychiatric nurse, played by Hilary Swank, is denied entry until she threatens to call the State Board of Hospitals. After being persuaded by Hughes to take the case, including that there were times Riese was medicated simply because she was sarcastic, Hughes’ colleague, a professor of Constitutional law, Mort Cohen, played by Jeffrey Tambor, comes on board the case. During the three court cases, Riese and Hughes become friends. We see Riese as warm or obnoxious, sometimes hot-tempered or funny, in short a human being. Riese persuades Hughes to become less of a workaholic. It is a shame that this movie, which tells a very important story, did not get wide distribution. Instead, it opened via streaming and then was briefly shown in a few movie houses and continues to be streamed. 55 Steps can be rented or purchased. This entry was posted in Articles and tagged 55 Steps, Bille August, Colette Hughes, Eleanor Riese, Helena Bonham Carter, Hilary Swank, Jeffrey Tambor, Kaitlin, Mental Health Movement, mental illness, Mort Cohen, psychiatric patients, Riese vs. St. Mary's Hospital and Medical Center, schizophrenia. Bookmark the permalink. Securing the right of the mentally ill to give informed consent regarding their medications is significant. It will provide greater dignity for not just the patients but their families and friends, too. It should also help break down the divisions between doctors and patients and help everyone realize that medical care is a two-way street among human beings.